There is nothing sweeter than a shortcut–Margarita to Winchester during rush hour, go behind Lowe’s. In college, read the CliffsNotes, or make up your own memory chart. In cooking, use the microwave or go to Panda Express. In baking, just buy the box mix, add water and bake. On the computer, use the special keys and not the mouse. There is nothing sweeter than a short cut. Today, you are going to get a shortcut to the end times, a quick way to understand eschatology, the study of last things. 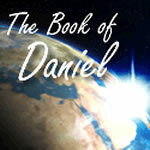 Daniel gives us an overview of the end times in Daniel chapter 12. This week and next, Daniel will bring clarity to an area most Christians are fuzzy about. Open your Bibles to Daniel 12, take your outline, and let me give a lens to understand eschatology. Now, more important than theology is the actual Biblical text and the author’s intended meaning of any Scripture. Our goal is never to pick a favorite theology, but to interpret the text and allow the Scripture itself to determine our theology. But this requires years of study and a strong conviction about a consistent method of interpretation, meaning the kind of lens you use to look at the Scripture–your hermeneutics. The reason there are three major differing views of eschatology is simply because different lenses are being used to interpret the Scripture, each with a different way to look at the Scripture. Sadly many think they’re just embracing a theology from the smorgasbord of truth, when the real issue is they’re actually putting on a different pair of glasses with a totally different prescription in order to look at the Scripture. It is the different lenses that give us the differing views of the end times–what kind of interpretive glasses are you wearing today? My passion is to make complex truth understandable, and I am going to give you a brief summary of the study of last things. This comes not merely from my normal 24 hours of weekly study, but from a lifetime of studying this doctrine–here are the CliffsNotes. There are three major views of eschatology: 1) premillennial, 2) amillennial, and 3) postmillennial. There are many variations, combinations and nuances within these views, but here are the main differences. “Premillennial” means Jesus comes pre or before the 1,000-year literal kingdom, where Christ reigns on the earth physically for 1,000 years. After the 1,000 years, we enter into a new heaven and new earth. “Amillennial” (“a” meaning no) is the view that there is no literal, physical 1,000 year kingdom. Most amillenialists believe there is a spiritual kingdom going on right now and at any time Jesus will return, and when He does, we will immediately step into eternity, a new heaven and new earth. “Postmillennial” (post meaning after)–this view means Jesus returns after humankind establishes a close-to-perfect 1,000-year-long human utopia on the planet. Then after those 1,000 years of human governments living under the law of God, Jesus will return and all believers will then enter a new heaven and new earth. One more time, hear me! There are many variances and different nuances with each major view I cannot describe this AM; but generally, these are the different positions. And what you must understand is that there are two different lenses which enable you to arrive at these positions (two different glasses to see the Scripture). One lens allows you to be premillennial, and the other lens allows you to be either amillennial or postmillennial. People who believe the premillennial view, like the early Church fathers, Boice, MacArthur, Mueller and all the elders of FBC interpret the Bible literally, as normally as possible. This lens of interpretation seeks to find normal meaning to symbols, and embraces analogy in its context. When Solomon describes his bride’s hair “like a flock of goats,” literalists don’t think her hair has hooves and horns (a baa-a-a-d hair day)–normal interpretation embraces analogy when the context requires it. But when it says the sea turns to blood, those who interpret it normally believe the sea turns to blood, or red, or red tide or is poisoned badly–something really bad happens to the sea (but it’s the sea, not government). When Jesus says He’s the bread, or “I’m the door,” in John 6 and 10, the context tells us clearly he is not literal bread or a literal door. So when the text says that horns are kings, then that’s what they are. This lens sees the Church as distinct from Israel, and the promises to Israel about a literal coming kingdom being fulfilled to Israel as a nation literally. Though there is continuity between the Old Testament and New Testament, premillinnealists believe there is also discontinuity, meaning a distinction or differences. In the Old Testament, Israel went to a literal temple to worship, yet in the New Testament, the Church is the temple who worships Christ. Or in the Old Testament, circumcision was a symbol of Israel directed mainly at newborn children, but in the New Testament, baptism is a totally unique act directed at all truly born again believers. People who believe the amillennial view, like the Roman Catholic Church and the Reformers, interpret the Bible literally, except when it comes to prophetic passages and other potentially symbolic references, which they spiritualize to varying degrees. Amills see the Church as a continuation of Israel, both Church and Israel being the people of God. All the literal promises made to Israel in the Old Testament have now found their fulfillment in Christ. They believe there is more continuity between the Old Testament and New Testament than discontinuity. So, many amills believe since the Church is Israel, just as Israel circumcised infants, so now the Church should baptize infants—continuity. People who are postmillennial, like Voddie Baucham and Doug Wilson, interpret the Bible literally, except when it comes to prophetic passages, which they spiritualize or allegorize. They also re-interpret passages about the world growing worse or difficult, since they believe humankind ushers in a thousand-year kingdom. Some postmills believe there will be a difficult time, then people will unite under the law of God and create a utopia for 1,000 years, after which Christ will return physically and usher His children into eternity. Postmillennialists believe the Church is Israel, and that non-violent insurrection is good. Postmills would be happy if Oregon, Washington and part of Canada would break away from the union and form their own nation under God’s Word. They train their children to be the future leaders of these new utopian nations–therefore they train their children the same way our founding fathers were trained. Since Washington and Jefferson learned Latin, so should our children. Many postmills think the south should have won the civil war since the southern generals were more godly than the northern, and some postmills are not all that opposed to slavery, since slavery is discussed at length in the Scripture. 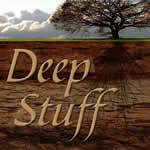 Now, the most important truth–the key all true believers embrace is this. Jesus Christ is literally, physically going to return to planet earth. You can hold any one of these views and still be saved, but if you deny that Jesus will physically return to earth a second time, you are not genuinely saved. The Bible repeatedly declares, as in Acts 1:11, “Men of Galilee, why do you stand looking into the sky? This Jesus, who has been taken up from you into heaven, will come in just the same way as you have watched Him go into heaven.” He is coming back. What is it then that determines your eschatological view? Sadly, there are some bad reasons you must reject for embracing an eschatological position. Those are bad reasons to embrace an eschatological view. So what really determines an eschatological position? There are 3 to 4 main determiners. If you choose a consistent hermeneutic and you don’t change your lens, you only allow Scripture to interpret Scripture, you embrace symbols and allegory when it is used in context, but you are looking for the normal interpretation defined by context and usages elsewhere in the Word of God, then you will be a premillenialist. If your lens allows you to spiritualize prophetic sections of Scripture, then you can be amill or postmill. Second Your view of the Church–Is there continuity or discontinuity between the Old Testament and New Testament? If you see the Church as distinct from Israel, different, unique, and that the nation of Israel has a future in God’s plan, then you will be premilllinial. But if you view the Church as the new Israel, with more continuity than discontinuity between the Old Testament and New Testament, plus you believe all the promises made to Israel in the Old Testament are now fulfilled in Christ and given to the Church in the New Testament, then you will be an amill or postmill. If you believe that the Church tastes of the Abrahamic, Davidic and New Covenant, but that they will ultimately be fulfilled in Israel as a nation, and right now Israel is experiencing the consequences of her disobedience, but someday they will be the recipients of all the blessings, you will be a premillenialist. But if you believe the Church receives the Old Testament promises due to Israel, but gets none of its curses because those curses for disobedience all fell on Christ, then you can be an amill or a postmill. Now there are more reasons, but those are the main differences, and they all hinge upon your lens, your interpretive system, your hermeneutic–the way you interpret the Bible. As a Church, all our elders without question are premillennial, for no other reason than our interpretive system is normal, literal, historical and grammatical. We accept symbols, allegorical references and word pictures in the Scripture, but seek the normal sense of every passage in its context (and yes, there are difficult passages, but more that point to a future for Israel). So when Revelation 20 says a thousand years, six times total, we premillenialists view that as a thousand literal earthly years, where some amill and postmill might refer to those thousand years as (and I quote) “the Gospel age,” and not a literal thousand years. Compare a set of healthy premill commentaries on Daniel or Revelation, and they will be very similar because they desire the text to interpret itself. Compare any set of healthy amill commentaries, and you will find them radically different because they’re spiritualizing the text which does not have a consistent form of interpretation. We respect and love many who believe other views, and we cherish those in our midst who do–but we disagree. And you have to know that we will never give equal time to other views, because our lens is set, and our lens determines our views. We don’t believe theology is a smorgasbord where you pick or choose this or that view. But it is a normal, literal contextual approach to Scripture–our lens that drives our theological view, period. And we make no apology for our approach to God’s Word. It’s driven by a passion not to alter or mess with Scripture in any way, and as a church we feel strongly not about our theological view, but about the Word of God being taught as God intended. That is where our conviction lies, and we’d die for that belief–and we may have to. So now that you all completely understand eschatology, turn to Daniel 12 and understand his premillennial view. Someday the Church will be snatched away in the rapture, and there will be a tribulation where the antichrist of Daniel 11 wreaks havoc on planet earth, especially focused on the nation of Israel. In the first half of the tribulation, the Antichrist makes a treaty with Israel and protects them, but in the middle when he commands the world to worship him, he persecutes Israel, killing over two-thirds of them. But at the end, Jesus will return and set up His 1,000 year earthly kingdom, which then ends with a new heaven and new earth forever. So what is going on in chapter 12? Israel needs hope. 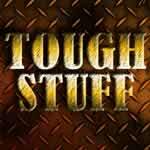 Anytime you go through lengthy trial, physical suffering or persecution (like in Daniel 11), you desperately need hope. And Daniel 12:1-3 is a message of hope. The first half of Daniel 11 described a horrific persecution coming to Israel prior to the first coming of Christ. The second half of Daniel 11 describes the eschatological suffering of Israel through the persecution of the antichrist during the tribulation just prior to the second coming of Christ. God’s goal for all of it has been to purify Israel, just as Daniel 11:35 says, “In order to refine, purge, and make them pure, until the end time.” So at the height of his power, after winning great victories over many nations in the second half of the tribulation, the antichrist requires the world to worship himself as god and Israel refuses. So now instead of being protected by the antichrist, Israel is being persecuted by the antichrist, with Chapter 11 ending very dark. But chapter 12:1-3 is a light at the end of the tunnel, with hope for a nation–why? Daniel 12:1, “Now at that time Michael, the great prince who stands guard over the sons of your people, will arise.” At the time of the events described in 11:36-46, that is, during the tribulation and the rule of the Antichrist, Michael, the special angelic protector of the nation of Israel, will “arise,” or literally stand up. Michael and the holy angels will wage war in heaven against the dragon (Satan) and his demons. The battle will be final and decisive, with Satan vanquished from heaven and cast down to the earth. But this victory for Michael and defeat for Satan will begin the great tribulation, which will last 3½ years. Satan will vent his wrath against Israel, but a remnant will find refuge in the eastern wilderness, and there they will be sustained and protected until the end of the tribulation. During their darkest hour, Michael the most powerful angel of all, special guardian of Israel according to 11:13, 21, the chief/first angel or archangel (the one who fought Satan over the body of Moses in Jude 9), will lead the fight and win, so as to protect the remnant of Israel. So when Satan loses this angelic war, he is cast to earth and uses his final days to overrun the earth with evil through the antichrist. And though persecution intensifies, it seems that Satan has lost some ability. He is no longer the prince of the power of the air—he is limited to earth, and his doom is sure, as Michael protects the remnant of Israel, which leads to . . .
Israel’s time of trouble, which will affect the whole world as well, is specially designed to prepare her for the coming of Messiah. But it will be . . . It is going to be so bad during the great tribulation, the second half of the seven-year period, that Jesus says to the nation of Israel in Matthew 24:15, “When you see the abomination of desolation which was spoken of through Daniel the prophet, standing in the holy place (let the reader understand), 16 then let those who are in Judea flee to the mountains; [EAST] 17 let him who is on the housetop not go down to get the things out that are in his house; 18 and let him who is in the field not turn back to get his cloak.” In other words, get to safety now! Revelation chapters 6-18 describes the tribulation as war, famine, 25% of the earth’s people die, one-third of land and sea are destroyed, one-third of the fresh water is gone, demons overrun the earth and attack Israel–and then it gets worse. Think about the worst thing or the worst time that has ever happened on planet earth–then realize this time will be far worse. Jeremiah 30:7 says, “Alas! For that day is great, there is none like it; and it is the time of Jacob’s distress, but [here is good news] he will be saved from it.” This difficult distress leads to . . .
Read the good news at the very end of verse 1, “And at that time your people, everyone who is found written in the book, will be rescued.” The good news is, during these closing days of the tribulation, the surviving Jews will apparently search the Scriptures seeking the reason for the brutal persecution they are suffering. Turn to Zechariah 12. They will discover it is because of their rejection of Jesus Christ, and then they will turn in repentance to Christ as their Messiah, and pour out a heart of faith in what Christ did for them from Isaiah 53. How will God deliver his people? Revelation 11 says God will set apart two witnesses with amazing miraculous powers. Please note, I have asked the Lord to make me one of these guys, since I have always wanted to be in Scripture. Plus, how great would it be to preach God’s Word and all those who don’t like it are instantly judged? Think about it–they reject it, I get to say, “HA!” and they are all toast, as fire comes from my mouth to consume them. Back to Daniel 12, there is hope for Israel, because some day the nation will be saved and enter into the 1,000 year literal earthly kingdom. But what about those who trusted in Christ and have already died? Then we who are alive will be raptured/resurrected too, verse 17, “Then we who are alive and remain shall be caught up together with them in the clouds to meet the Lord in the air, and thus we shall always be with the Lord.” Those who are filled with the Spirit are anticipating this event. The resurrection is the climax of the tribulation. Abraham knew Isaac would be resurrected if he killed him. Job knew he’d be resurrected in Job 19:26-27. Isaiah said the dead would live again in Isaiah 26:19. Hosea and David both had the hope of resurrection, and both Daniel 12 and Revelation 20 describe two aspects of resurrection. What kind of resurrection will it be? It will be to . . . The resurrection to everlasting life is the resurrection of the just, the resurrection of life. Hebrews 11:35 calls it a better resurrection. All genuine believers of the Old Testament and New Testament eras, as well as during the tribulation period, will enjoy everlasting life. Turn to Revelation 20. This first resurrection began with Christ–1 Corinthians 15:20 calls Him the first fruits. Then the Church through the rapture, where the dead in Christ rise first, then those who are alive, and finally the Old Testament and tribulation saints. Now Daniel 12:2 tells us there is more than one resurrection, and Revelation 20:4 and 5 explain how they are separated by 1,000 years. “And I saw the souls of those who had been beheaded because of the testimony of Jesus and because of the word of God, and those who had not worshiped the beast or his image, and had not received the mark upon their forehead and upon their hand; and they came to life and reigned with Christ for a thousand years. 5 The rest of the dead did not come to life until the thousand years were completed. This is the first resurrection.” Can you imagine a perfect eternal body, saturated with joy and love–never to sin ever again, and enjoy Christ face-to-face forever? When is the next resurrection and where do they end up? Back in Daniel 12, Daniel did not see the 1,000-year gap between the two resurrections, but Jesus spoke of two resurrections in John 5:28-29, “Do not marvel at this; for an hour is coming, in which all who are in the tombs shall hear His voice, 29 and shall come forth; those who did the good deeds to a resurrection of life, those who committed the evil deeds to a resurrection of judgment.” There is an eternal lake of fire and people do go there. Back to Daniel 12–hell is a real place created by God for just, terrible, and everlasting punishment for the devil, his angels, and the unsaved, ruled by God and existing for His glory. This is no joke. All those who are not in the book of life, not in Christ, will end up in hell forever, in unending torment. But for Israel, there is hope. Daniel 12:3, “And those who have insight will shine brightly like the brightness of the expanse of heaven, and those who lead the many to righteousness, like the stars forever and ever.” Not only are we given salvation by God’s grace, but way over the top, we are also rewarded. The reward here is described as the capacity to manifest or reflect God’s glory. When you look at the night sky, you see stars of varying size and brilliance, but they are all beautiful. That’s the way it will be in heaven–I believe your reward, the size and brilliance of it depends on three things: your motive, your dependence, and your faithfulness. Your motive to glorify God or glorify self, your dependence on the Spirit or reliance upon your own strength in the flesh, and our faithfulness to sacrificially serve and sacrificially share the Gospel in the world–our ministry to the saints and especially the ain’ts determines rewards. You have taken off the bib and you have put on the apron–there are no eternal rewards for good intentions. All who know Christ will have the capacity to reflect God’s glory for eternity, but those in Daniel 12:3 who lead many to righteousness will shine especially brightly. WOW–what a promise to motivate us to share and show the Gospel. The New Testament talks about reward, sometimes–crowns that are cast back to Christ, or in 2 Corinthians 5:10, “For we must all appear before the judgment seat of Christ, that each one may be recompensed for his deeds in the body, according to what he has done, whether good or bad.” But all reward seems to have the idea of capacity. Let me explain it this way–I can eat more than a 6-year-old at Thanksgiving dinner, but after eating, we will both be full to capacity and completely satisfied. Everyone will be full and satisfied in eternity with Christ, but we will have differing capacities, depending on what we do here on earth now. How we serve, and how we impact others for Christ now matters in eternity. The angel tells Daniel that during the tribulation, Israel will be saved and lead so-o-o many others to Christ that Revelation 7:9 says, “After these things I looked, and behold, a great multitude, which no one could count, from every nation and all tribes and peoples and tongues, standing before the throne and before the Lamb, clothed in white robes, and palm branches were in their hands.” So those who remain faithful to Christ during the great tribulation will receive a special reward for leading others to Christ with the Gospel during the worst persecution the world has ever known. So what kind of star are you gonna’ be? You’re not an earthly star, like Caesar, Napoleon, or Alexander, nor are you an athletic star or an entertainment star–none of you here have your star on Sunset Blvd., or in Grauman’s Chinese cement. You and I are not famous on earth–you are no star here. But what kind of star will be you be in God’s sky? This promise is directed at Israel, but reward is promised to all of God’s children, both Old Testament and New Testament. Are you faithful to share the Gospel? Do you believe you have friends you go to school with, guys you work with, the gals in your circle of friends, even church friends who are headed to a resurrection of contempt in hell forever? If so, what are you doing about it? The tribulation is a time of panic–the ship is sinking, and the faithful are rescuing as many as they can. Friends, how is that different than today? Sure no panic, but the ship is still sinking, and all those who go down without Christ are lost forever just the same, so . . . I have done many funerals, I have watched at least two people travel from life to death, and it still amazes me how people who have lived religiously, others who were marginal in the church, and those who attend church twice a year are prayed into heaven at their funeral. They all say he or she is in a better place, regardless of the evidence to the contrary–no one wants to face the reality of hell. There are a lot of people in the church, others who call themselves Christians who are headed to hell, but they think they are going to heaven. And your assurance is not because you prayed a prayer, or believe in Jesus, or attend church occasionally. Your assurance is, as you follow Christ from a heart that wants to obey, even when you fail to. When people don’t follow Christ they are not living in the reality of eternity. Not merely not sinning, but are you following Christ, obeying his commands? Don’t assume just because someone says they are a Christian that they are truly saved. Share testimonies, ask questions, and tell everyone how Christ saved you and how you know He is alive in your life. Let them see by your words that you are trusting only in Christ dying on the cross for your sins and raising to give you life. Let them see by your actions of love and service that you are born again and follow Christ and need His grace every single day. Share the Gospel with churchgoers and non-churchgoers. Don’t get all hung up about the nuances of eschatology and forget what you are waiting for. And what is it? A person, the return of our Lord, King and friend, Jesus Christ who will make all things right and bring you home–yes, you have a home you have not been to yet. But when you arrive, you will know it is where you were meant to be. Keep asking, every day, come Lord Jesus!